This delightful taste of Israel comes to you in a great gift box complete with honey, carob spread, date syrup, olive oil and pomegranate wine. All the perfect Israeli sides to a meal, as well as a unique wine to boot. 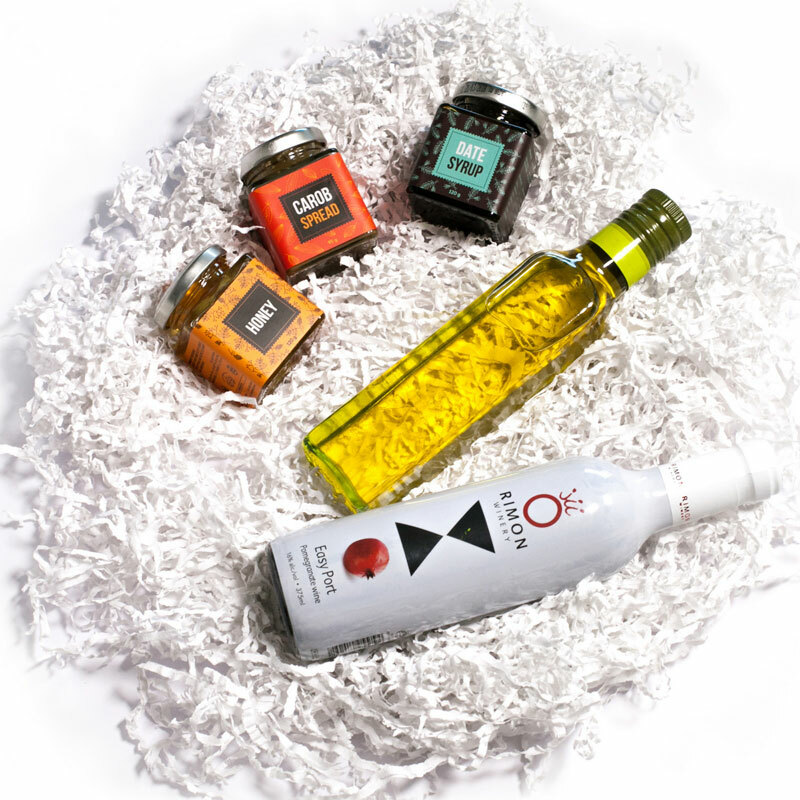 The taste of Israel in this wonderful gift box is entirely accurate, presenting you with Israeli honey, date syrup, carob spread, olive oil and a bottle of pomegranate wine on the side. Perfect sides or additions to a decadent meal, present in almost any Israeli home, these staples flavors go terrifically with a glass of pomegranate wine, all from Israel. The ideal gift for any Israel loving relative, friend or coworker, this is appropriate for almost any occasion and certainly leaves a sweet taste in the mouth and a good sense of Israel. Packaged and sent straight to you anywhere in the world from the holy land, this gift box is a delicious way to celebrate. Also a great choice for a romantic evening or a housewarming.